I've been to Boston many times by this point after having a sister and boyfriend attend college there, and having many of my friends from school moving there in the past few years but each time I visit I discover new things! Last weekend I went to visit two friends and enjoyed exploring more of Beacon Hill, a beautiful, hilly residential neighborhood, the North End, known for amazing Italian food, and finally checking out the Boston Public Library. 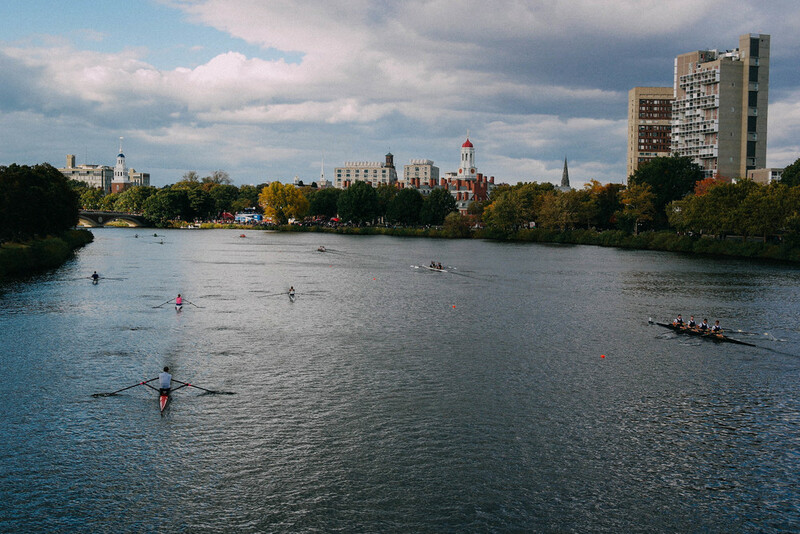 We also stopped by the Head of the Charles, a day of rowing on the river. Crew seems so difficult for me - the boats are so thin and I don't know how the rowers don't tip over! They make it look so effortless though and it's kind of mesmerizing to watch. 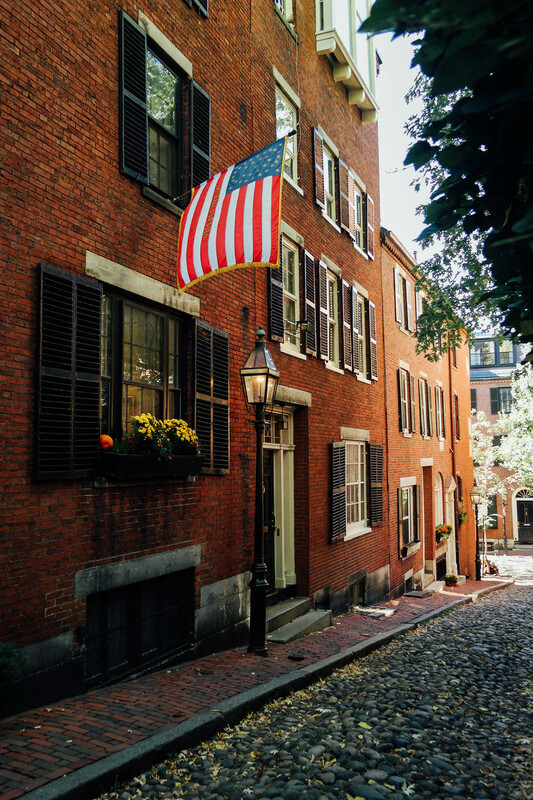 Other highlights including going to Acorn Street, a picturesque narrow cobblestone street in Beacon Hill that was home to servants. It's now a row of quaint townhouses and is constantly being photographed. In fact, we swung by twice (the first time there was a car parked in the alley) and each time there were engagement pictures being taken. I did manage to get some good photos though. For dinner my friend and I went to Locale in the North End. It was unbelievable delicious and I can't wait to try making baked ricotta at home. I also tried Union Square Donuts for the first time - salted bourbon caramel - and was blown away.